You searched for which does not fit your . We've redirected you to 114-692, which has the proper fitment. 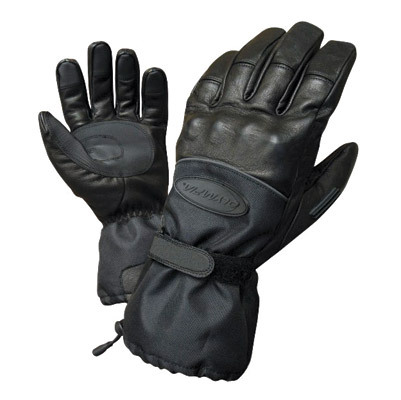 • Lightweight palm insulation and lining keep your hands warm, but allow warmth from heated handlebars to pass through easily! great fit and very flexable. Excellent value. Comfortable and warm. Gloves don't restrict dexterity excessively. I find them useful down to about 32 degrees for medium length rides w/ no windshield or fairing. Gauntlet does a good job of keeping wind out of jacket cuff. Nice gloves, kept hands warm at 35 deg. Only problem I had was getting them on over my jacket. The cuff could be larger. Fit is good if you follow the sizing guidlines. High Quality, can't wait to try them in a driving rainstorm. Keeps your hands very warm in the cold air. Excellent product and the Thinsulate lining provides great warmth with little bulk. Awsome pair of gloves, rode in 30 degree weather at 60 mph and hands were not cold. I am redy for cold weather. she's a cold type of person...she loves them!